Who says that creating an online store can mean wading through endless search results without knowing where to start? That won’t do the trick. 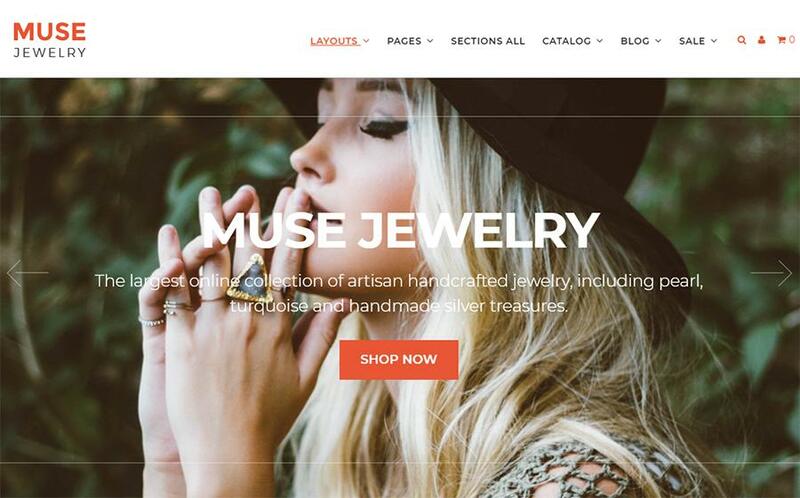 Instead, the list of 10 best fashion Shopify themes below can save you the trouble and costly mistakes. 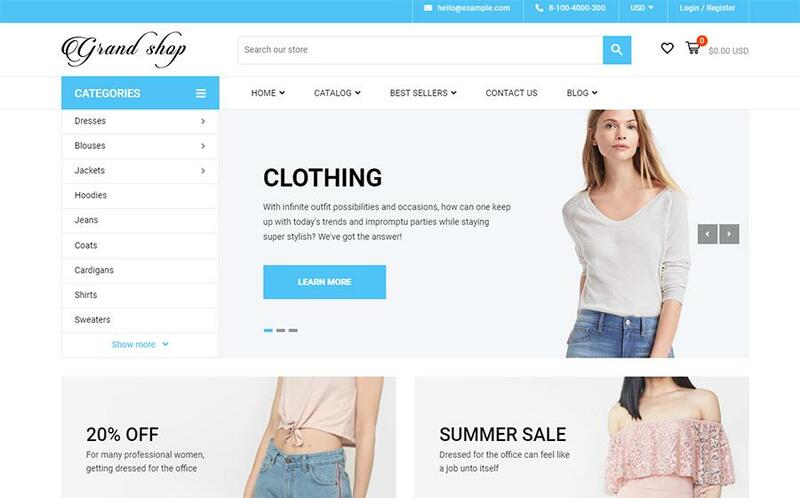 Owing to the rising popularity of ecommerce, fashion Shopify themes can help you set up an online store simpler than ever. So, if you got inspiration and passion, go for it. Don’t fret, the collection of eye-catching designs below has a lot to offer. Once you decided to start your adventure with eCommerce, you’ve won a jackpot. 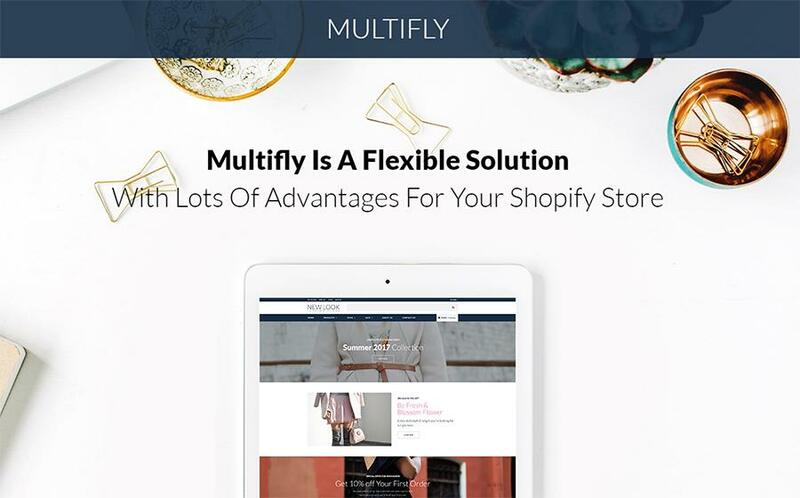 Multifly is a multipurpose Shopify theme jam-packed with 7 unique skins out of the gate. Let your visitors see great design paired with awesome products and easy-to-read fonts. Attract them with your fully responsive and lightweight online store that stands out. It supports multiple currencies and languages, Instagram Feed and Lookbook section. Make the shopping experience on your online store remarkable. Get creative with Shopify Visual Builder to create unique designs without stress. Step up to the plate with Multifly. Don’t let your competitors step on your toes. You can’t lock the doors of Walmart or unplug Amazon, yet, you can attract customers into your store. The time is now. No matter what products or services you want to sell, Muse has a lot you to offer. Get a luxurious eCommerce website without stress. Equipped with Parallax, it allows promoting to catch every visitor’s eye from the first sight. Besides, it includes working Ajax Cart, Product Lists and Tags, Product Countdown and Lookbook section. Keep your visitors interested in your products for longer. Got a bestseller to advertise? Make a compelling website that promises benefits to your visitors. Grand Shop is a nice specimen of the best fashion Shopify themes up to date, in fact. Optimized for high-speed performance, Grand Shop delivers a smooth online shopping experience. Explore developing opportunities Grand Shop offers to you. Create extra layouts, promote special offers, make every page of your e-store worth the visit. Sure, its clean and responsive design will attract more visitors to your fashion e-store big times. It’s never been this easy to share up-to-the-minute info with your audience through social media. Looking for something modern and special? Then Pencil is a big win. Clean, responsive and creative, Pencil fits online stores selling different products & services. Jam-packed with 5 unique demos, it eases your developing pain and streamlines your work. Thanks to Megamenu it’s easy to build a flexible menu system that looks eye-catching to your visitors. Moreover, you can easily customize Pencil up to your needs even with a skill gap. Thus, create, edit and delete sections to make your online store look awesome and personalized. At last, go ahead and use social media to your advantage. Meet Glassesco. Its clean and responsive layout can help showcase more of your products in an eye-catching manner. As a result, it increases the chances of making a purchase. 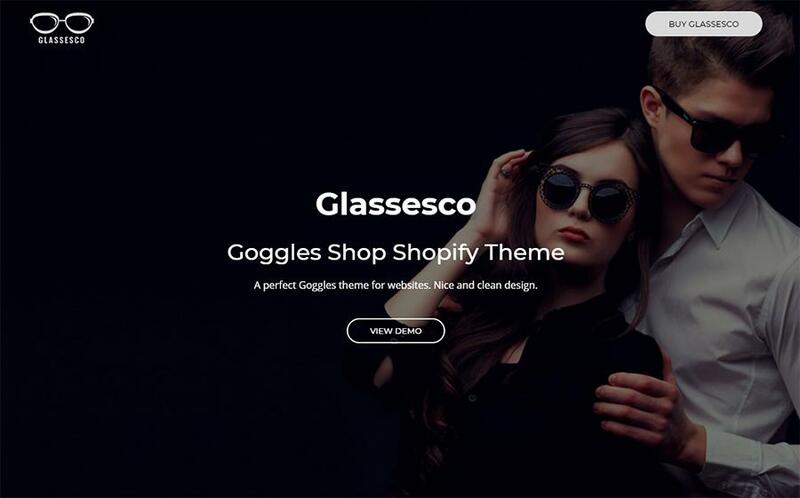 Designed to match the needs of e-stores selling eyewear products, Glassesco is a true bounty. Afraid of less coding skills? Don’t fret, tons of eCommerce options will come to your aid. The best thing is that you don’t even have to learn how to code. Make the best use of Mega Menu, promote your products with awesome sliders, increase your audience base with Newsletter Popup, and much more. Don’t miss out on the opportunity to reach thousands of online customers. 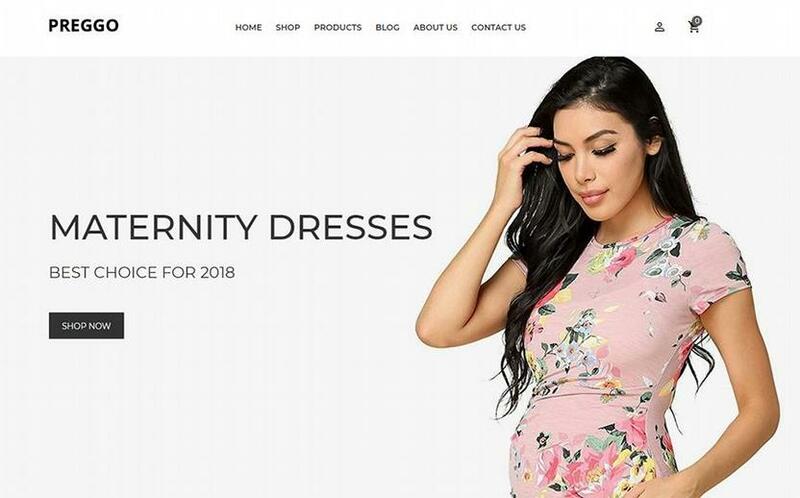 Try your hand at Preggo to launch an effective online store out of the gate. This awesome specimen of the best fashion Shopify themes can best represent the value of your brand. Indeed, crafted with care, Preggo can increase your chances of making sales. Built on Bootstrap 4 framework, its clean and responsive layout looks correctly, whatever device. Besides, its SEO-friendly code can help index your online store higher in the organic search engine results. As a result, it allows you to put a lot of cash in your pockets. Find it challenging to encourage consumers to purchase from you? The key to achieving that is to give them what they need when they need. 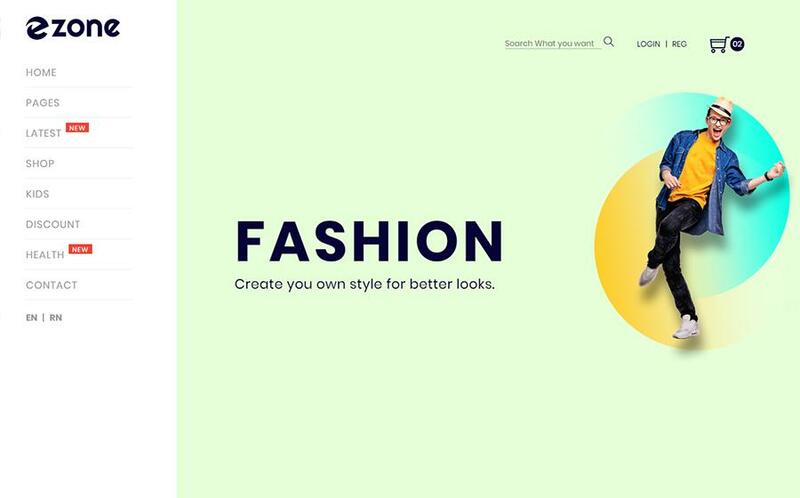 Give this attractive specimen of the best fashion Shopify themes a shot. Clean, nice and responsive design fits modern online stores selling clothes, apparel and accessories. Use its drag & drop page builder to your advantage to create extra layouts and unique designs in a snap. No coding skills, just your creativity. Thus, you can launch your outstanding online store extremely faster and easier. At last, optimize your e-store to perform at top speeds. Want to launch an eye-catching fashion online store without stress? Take a peek at Charming. 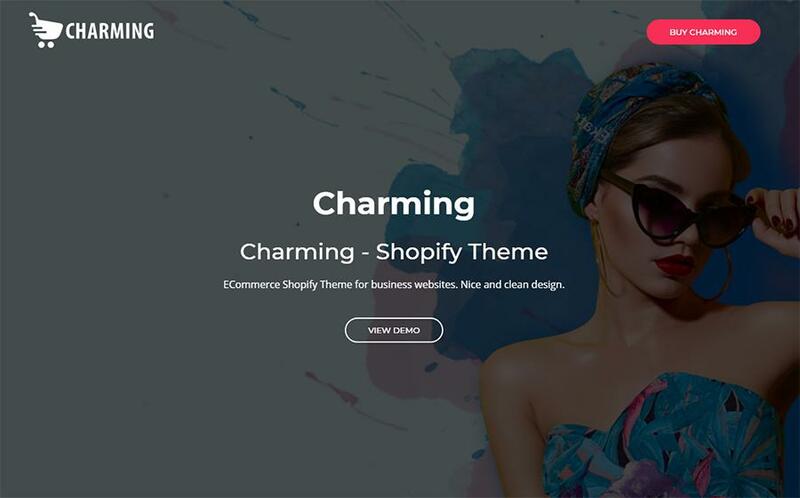 This amazingly stunning specimen of the best fashion Shopify themes is worth your attention. Choose from 2 unique homepage layouts to find the right one for your fashion e-store. The best thing is that even with a skill gap, it’s easy to create unique designs, customize and make changes in Charming. Indeed, its responsive layout looks awesomely across different screen resolutions big times. Poke around its advanced features. Sure thing, Charming has a lot to offer out of the gate. Face it, clean and eye-catching design of Ezone catches your eye. Give this multipurpose Shopify theme a shot right away. Besides, as a feature-rich solution, Ezone offers several pre-build homepage styles, 10 unique header designs, and 6 beautiful Newsletter layouts. Display your excellent products & services with unique sliders that catch every user’s eye. In case you have a skill gap, a well-documented code will come to your aid. Go one step further to repeat business. If you’re thinking about launching a swimwear e-store, the time is now. Swimwear Hut may be your safe bet right off the bat. Thus, it’s easy to install, edit and customize this amazing specimen of the best fashion Shopify themes. 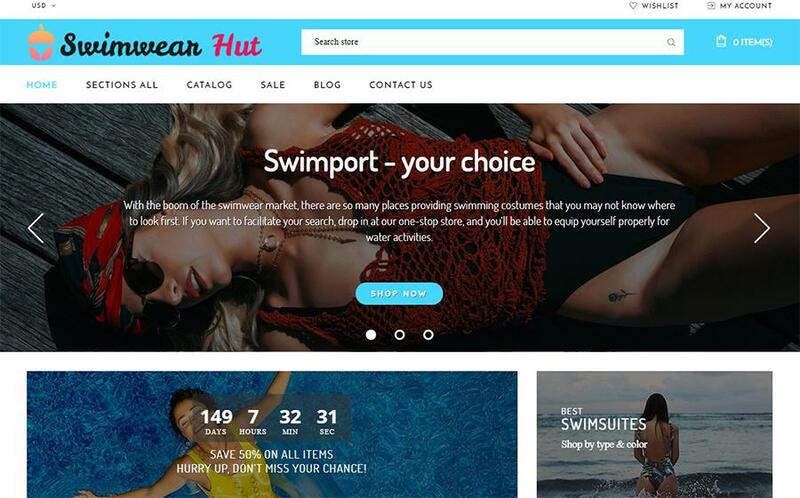 Optimized for high-speed performance, Swimwear Hut delivers a smooth shopping experience on any screen resolution. Thanks to its drag’n’drop interface it’s easy to create a unique and beautiful design of your e-store without a hitch. So, are you ready to increase your chances of making sales? That’s it. If you decided to push your fashion online store forward, these fashion Shopify themes can do the trick. Take time to learn each of them before sticking to one winning design. One thing to do is to dig up some confidence and make the right pick. At the end of the day, you can maximize your sales potential and attract repeat business. Ponder carefully before choosing. According to research done by Blue Corona, 46% of people say they would not purchase from a brand again if they had an interruptive mobile experience. What does that mean? Driving traffic to your site only matters if you convert visitors to customers once they land there. Many different elements play into the conversion rate of your landing page. Fortunately, there are a few things that can optimize your page for conversions as well.